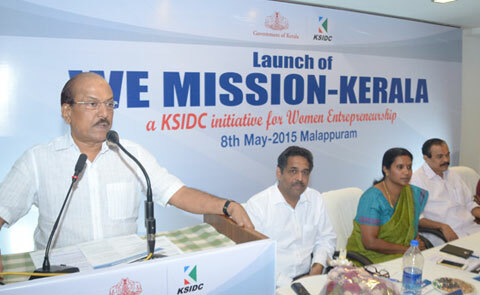 The official launch of the mission was held on 8th May 2015 at Malappuram by Shri.P.K Kunhalikutty, the Hon’ble Minister for Industries & IT. Dr. M. Beena IAS, Managing Director, KSIDC was present at the function. Further to the launch of the event, an interactive session with representatives from various Industrial bodies and other stakeholders was conducted. In addition to this, an exposure visit was arranged to a successful industrial unit “Sumix Kidwear (P) Ltd”,Malappuram, owned and operated by a women entrepreneur. The second interactive meeting and exposure visit was held on 25th June 2015 at Kollam. 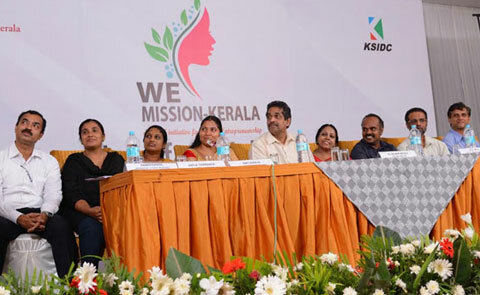 The interactive session was followed by an exposure visit to two units owned by women entrepreneurs in Kollam, viz, J-Force Industries, a Solvent cement manufacturing unit at Kollam and M/s Arun Garment & fancy, Kids wear manufacturing unit, Kollam. 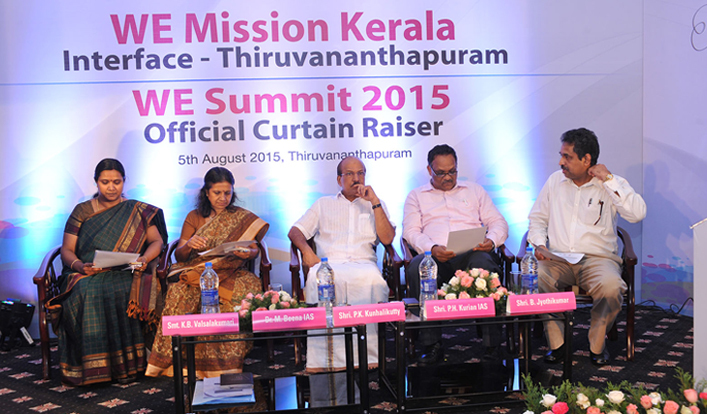 The third interactive meeting and the official curtain raiser for the WE Summit 2015 and the launch of the website for WE Mission Kerala, was held on 5th August 2015 at Thiruvananthapuram. After the interactive session, Shri.P.K.Kunhalikutty, the Hon’ble Minister for Industries & IT had officially announced the curtain raiser for the WE Summit 2015. Shri.P.H.Kurien, Principal Secretary- Industries, unveiled the website for the WE Mission Kerala. Conducts mentoring sessions/meetings for women entrepreneurs to provide them with necessary advice, guidance and support to build capacities in them for entrepreneurial leadership. Unit visits and interactive meeting with successful women entrepreneurs in Kerala in their unit with a view to enable aspiring women entrepreneurs to learn working methods and employment practices etc..
Easy funding support being offered to eligible first generation women entrepreneurs for scaling up of their activities. Arrange participation of women entrepreneurs in national and international trade fairs to enable them to build business networks and market linkages.